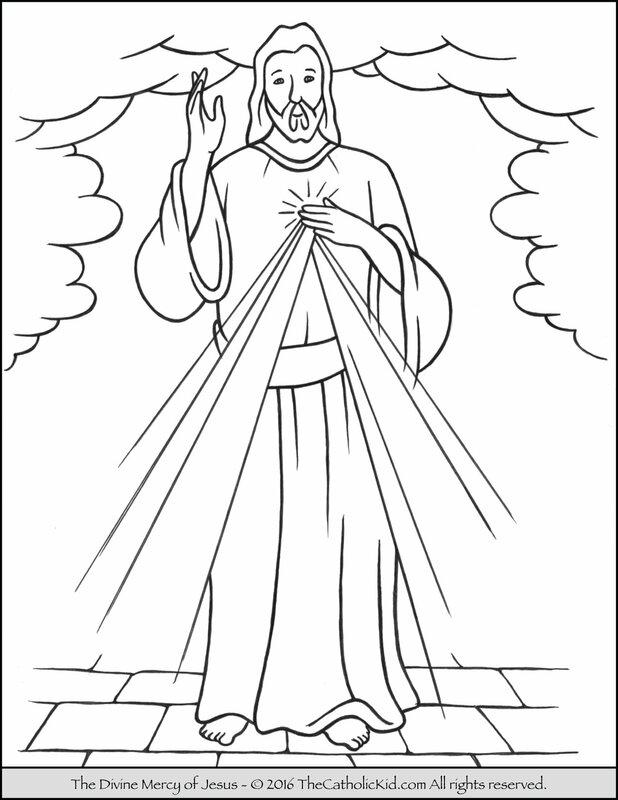 Divine Mercy Sunday coloring pages (Divine Mercy Sunday is the first Sunday after Easter). 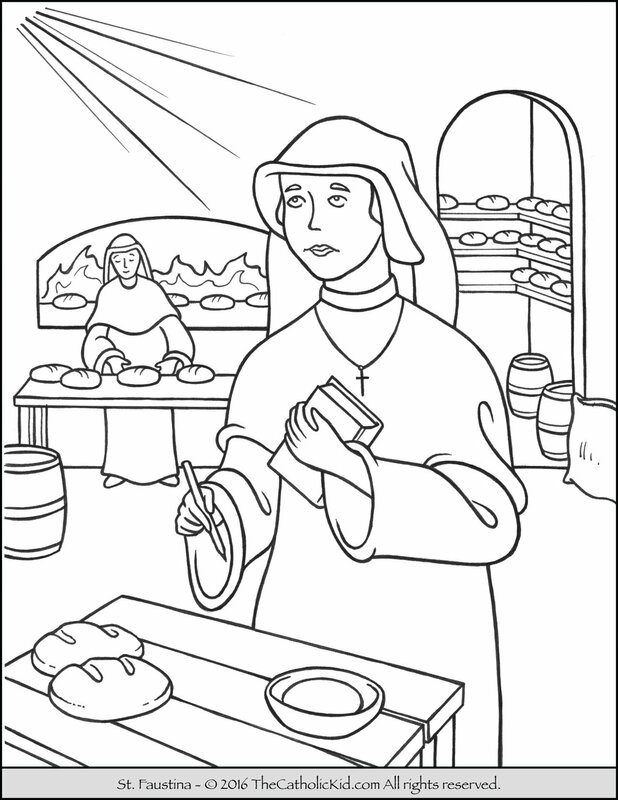 Some Possible discussion topics while coloring this Saint Faustina coloring page with your child. When Saint Faustina was about twenty, she entered the Congregation of the Sisters of Our Lady of Mercy. They educated and cared for young women that needed help. God gave her a message of mercy that she was to spread over the entire world and encouraged everyone to trust in His mercy. She was a model of how to be merciful to others and she offered her sufferings in union with Jesus.